At Central Market, the excellent little supermarket close to the Casa Capena properties, you can buy a loaf – or half a loaf or any amount you want – of fresh, handmade bread and pay for it by the gram. Even if you don’t speak a word of Italian you can point at your chosen variety of bread and then make hand signals indicating how much of it you’d like the assistant to slice off and weigh for you. 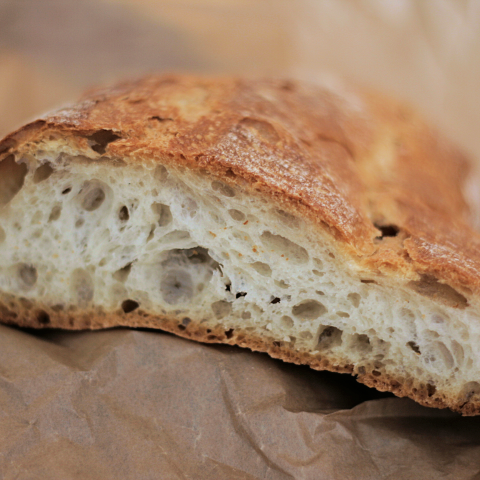 The chunk of ciabatta shown in the photograph cost about 50 cents.